The best boxing gloves can withstand intense punishment. If you have ever given a consistent beating to heavy bags using poorly made boxing gloves, then you would already know that they generally don’t last long. The outer material gets torn, the stitching begins to come apart within the glove and the padding becomes unevenly distributed, increasing the chances of you damaging your hands. I’ve compiled a list of the top 10 best boxing gloves based on reputation and user feedback. Scroll down to find more information on each pair of boxing gloves whether it’s for heavy bag, sparring or training purposes. For a boxer, the hands are precious and must be taken care of diligently. Even if you just like to hit the heavy bag for a good workout, it’s painful to dislocate a thumb, finger or bruise your knuckles, which can often be the result of inadequate boxing gloves. The best boxing gloves have good padding around the knuckles, good wrist support and fit comfortably. 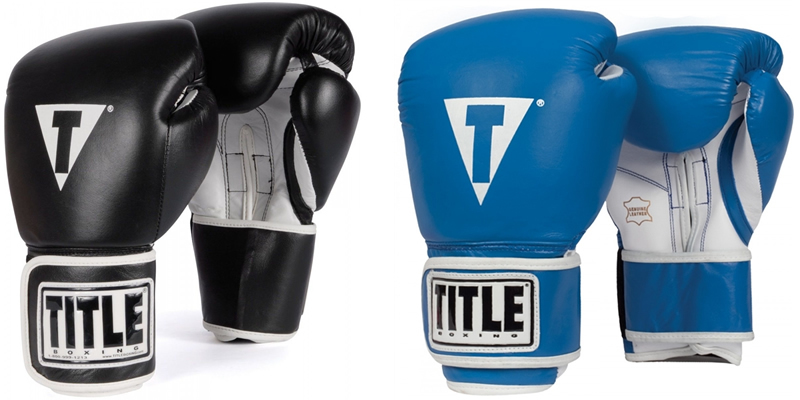 There are three types of boxing gloves. 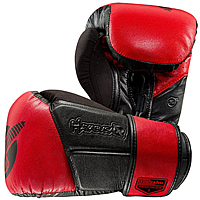 Heavy Bag Gloves: Modern heavy bag gloves are fully padded with more compact foam, designed to provide optimum hand protection and wrist support, solely for hitting the heavy bag as hard and as long as you like. Old school heavy bag gloves are a lot thinner and were designed mainly for protecting the skin, but they’re out-of-date now so don’t buy them. 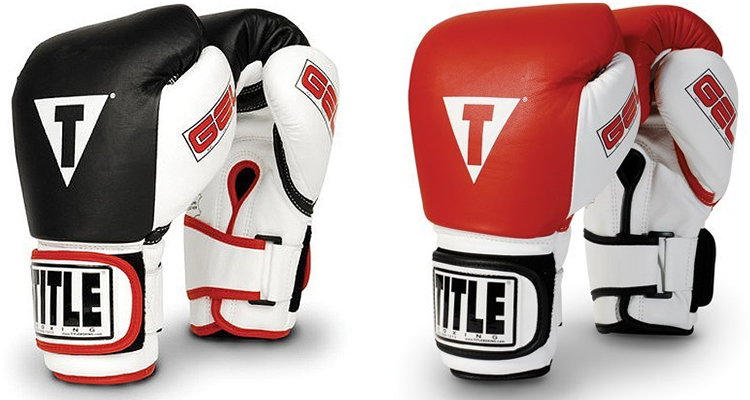 Sparring Gloves: Sparring is not fighting, only practicing, so sparring gloves have thicker and softer padding to reduce the impact when a punch lands. The general rule is to always wear 14 or 16 oz. gloves when you’re sparring, and even heavier gloves if you weigh over 175+ lbs. They shouldn’t be used for hitting the heavy bag as the cushioning will get worn out quicker. Training Gloves: If you’re planning to work out on the heavy bag, hit some mitts and spar (or at least have the option to), then training gloves will suit your every need. They’re all-purpose gloves that typically doesn’t excel in one or the other, but are adequate enough for all. Please note that you should always wear hand wraps before putting on your boxing gloves, as this provides added support for your thumb, fingers and wrist. Here are the above boxing gloves in more detail. Gel enforced lining provides a layer of custom form fit and impact resistance. Hand compartment lining for cool, dry and comfortable prolonged wear. Wraparound adjustable wrist strap with D-ring and hook-and-loop closure for secure fit. 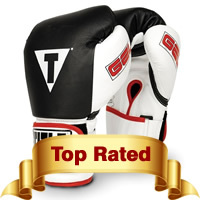 The majority of users have given the TITLE Gel World Bag Gloves 4-5 out of 5 stars, with many of them being 5 stars. That’s an astounding number and a testament to how good these boxing gloves are. All users have praised the high quality construction, comfort and longevity of these gloves. It should be highlighted that if you have brittle hands or knuckle pains while hitting the bags, these heavy bag gloves are the solution as they have excellent hand protection. These are considered to be premium gloves but they’re actually priced very reasonably given their outstanding quality and usability. All-in-all, they’re worthy of being at the top of our list of the best boxing gloves. Dual-X closure system and Fusion Splinting provides ideal hand/wrist alignment, max. striking power and prevents injuries. 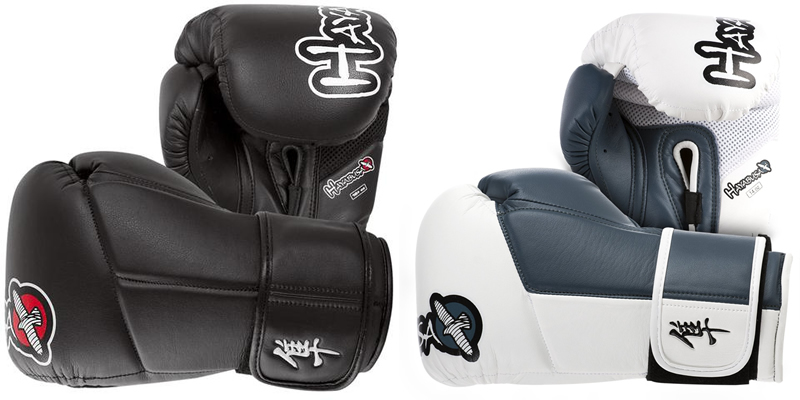 Hayabusa is primarily a manufacturer of martial arts gear, but their Tokushu line of boxing gloves is superior to many of the other models that are around, thanks to the medical research of hands and wrists which has helped to develop a pair of boxing gloves that is able to provide high performance while minimizing injuries. They feel light and comfortable, have great wrist and hand support (something that is essential if you box, especially if you have brittle hands) and are easily broken into. To top it all off, the designs are amazing. If you find that your old pair of boxing gloves get worn out pretty quickly, they’re either poor quality or you may just have great punching power, or both. 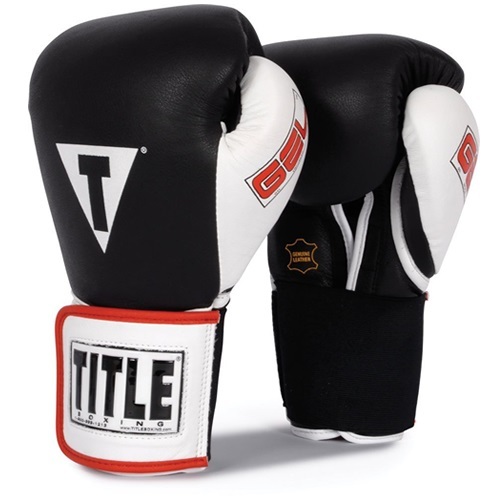 Either way, these Pro Style heavy bag gloves by TITLE are designed for some brutal punishment, and as a reminder, there’s even a piece of text that says “HIT IT HARD” on the palm of the glove. 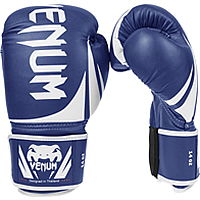 The loud and ferocious yet attractive design of the Venum Elite training gloves perfectly exemplifies this type of boxing glove – Super durable, comfortable and lightweight. There are ventilation holes in the right places to keep them from smelling, and have extra padding at the lower palm area for extra comfort. 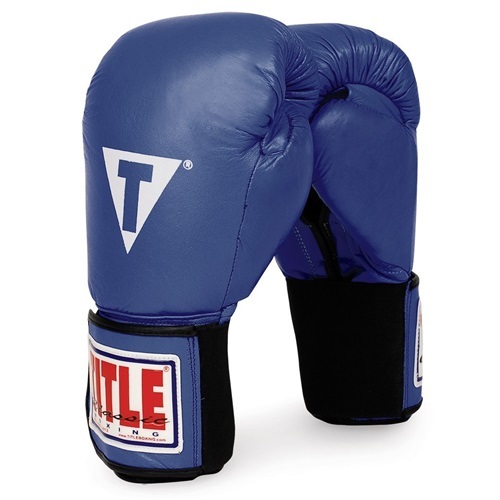 These gloves are ideal for all-round boxing training and will likely last you years to come. 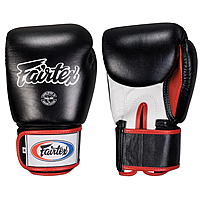 If you’ve done a bit of research on Fairtex, you would know that it started off as a Muay Thai gym in Thailand which they now have multiple branches in the US, and is a leading brand as a manufacturer of Muay Thai equipment. Despite this, their training gloves are actually ideal for boxing also since their gloves are known to be of superior quality and can withstand a beating. 100% all genuine leather construction. Exclusive Air Cell system incorporates thick, bulky, extra foam padding without compromising protection or performance. Exclusive wrap-around wrist closure and support for quick and easy attachment. Fully adjustable tough, double thick nylon strap with hook-and-loop attachment. 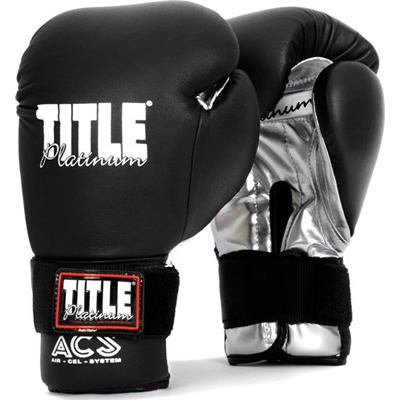 The TITLE Platinum ACS Bag Gloves are designed to endure constant beatings without wearing out the gloves, nor damaging your hands. They’re comfortable and are said to feel a lot lighter than they look. It’s also a great feature that you can easily tighten the wrist strap as much as you like. I’m actually very surprised at how low the price is considering these are one of the best boxing gloves. They’re a lot better than a large majority of the boxing gloves around its price range, and they really do provide excellent value for money. 2 inch padding in the punch zone for extra protection. Water repellent nylon lining to prevent moisture from entering the padding. 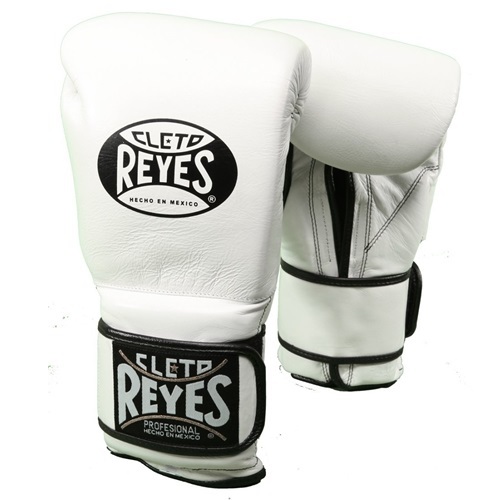 Cleto Reyes is a famous and well renowned Mexican boxing equipment manufacturer, and you’ll see many Mexican fighters wear their boxing gloves. Their training gloves come in an assortment of colors and have laced or Velcro strap options. They are extremely well constructed from hand and a work of art. The padding area is deliberately thinner than many other boxing gloves. They will take a while to break-in and if you have large hands, it will be quite a tight and uncomfortable fit. However, providing that your hands aren’t too big, then once they’re broken in, they are said to feel amazingly comfortable. Bear in mind that they are premium boxing gloves that carry a premium price. The Venum Challenger training gloves are the more affordable versions of the Venum Elite gloves (number 4 on my list). Instead of using a premium Skintex synthetic leather, these are constructed of cheaper PU leather which doesn’t feel or smell as good, but are still tough and durable. These gloves also feature the snake artwork which is a bonus if you like them. 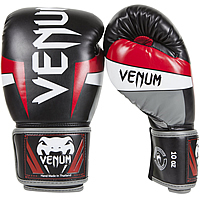 The Venum Challenger training gloves are ideal for beginners who are on a budget. EverGel material dissipates impact energy and protects knuckles during training. C3 Closed Cell Foam technology provides better knuckle protection. Full mesh palm makes the gloves more breathable and comfortable. Anti-microbial lining retains freshness and fights bacterial growth. Dual collar panel for added wrist support. 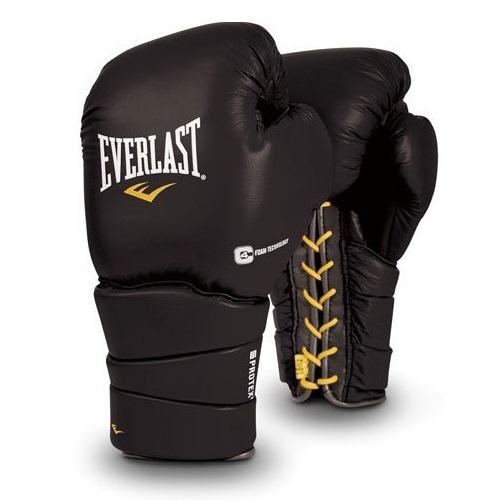 You may have already seen people wear the Everlast ProTex2, since they are fairly popular. They have many features, which sure looks good at a glance, but in terms of practical use, they’re good but not great. 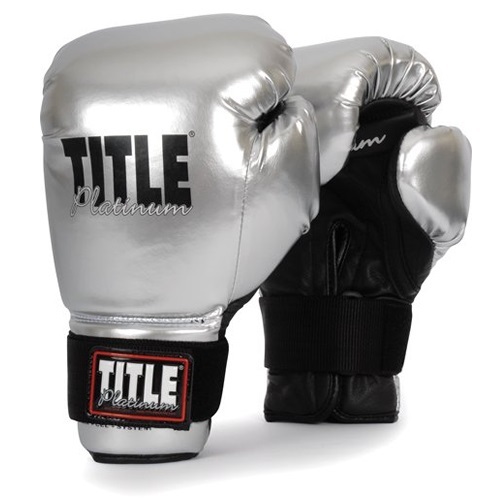 The general consensus is that they’re good for frequent heavy bag work, and occasional light sparring, but not for intense prolonged use, especially if you’re a hard puncher as the materials will get worn down eventually. It’s good value for the price, but spending a bit extra will get you even better boxing gloves. Fully padded on the front and back of the wrist. Two layer foam for shock absorbency. ThumbLok feature designed to prevent injury by keeping the thumb and fist correctly positioning. This is as basic as you should go. 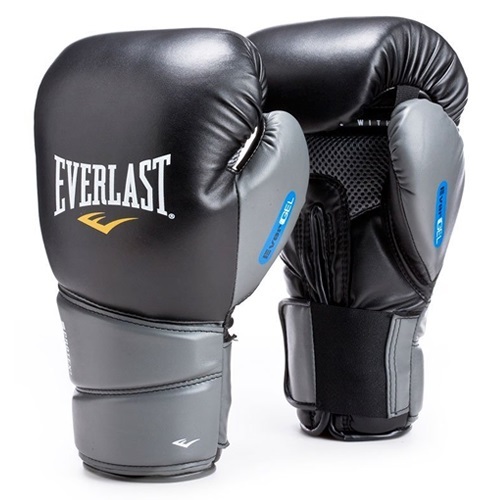 The Everlast Pro Style Training Gloves are an inexpensive pair of all-purpose boxing gloves. They’re good for beginners that just like to occasionally hit the heavy bag. I wouldn’t recommend to use them for any type of intense sparring or full-time training, since the foam can get weakened easily and probably won’t last too long for this type of use. However, it’s one of the best boxing gloves money can buy for its price range. The below boxing gloves have been pushed out of the top 10 simply because there are newer and better models. However, they’re still good so you may still want to check them out. Wrist stabilization technology system protects against hyperflexion. 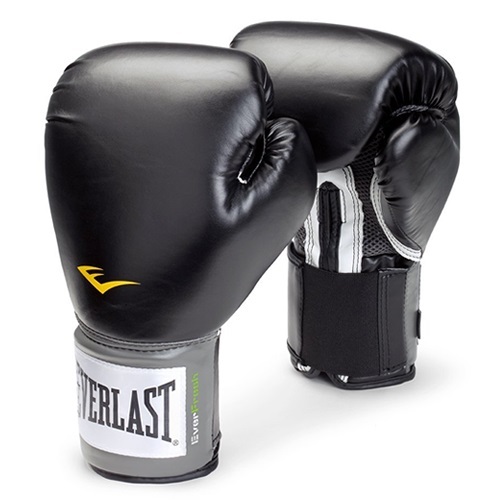 The Everlast ProTex3 are basically a better version of their ProTex2. The outer material is made from high quality leather and the wrist secure is laced instead of Velcro (which is a problem if you train by yourself). They incorporate good padding around the knuckles, and very comfortable, even for people with large hands. Also, the red color gloves are darker in comparison with the bright red you see on other boxing gloves, which in my opinion is more aesthetically pleasing. 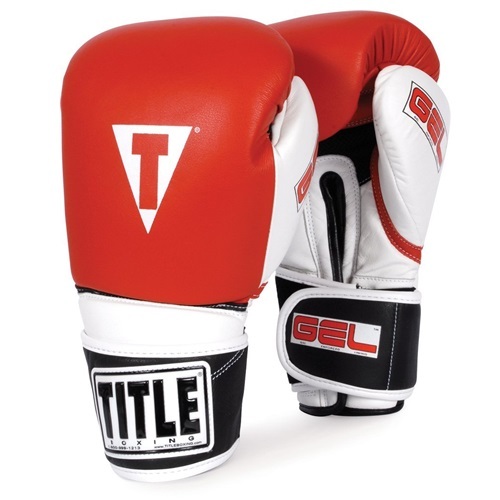 Title are renowned for their high quality boxing equipment, and the Title Gel Hook & Loop World Training Gloves feature on the lower end of their boxing gloves. However, that doesn’t mean that it’s no good, just not as good as their slightly more expensive gloves. Having said that, users have praised these gloves for its good wrist support and knuckle protection. They’re great for heavy bag use and good to spar with, and can withstand a good amount of punishment. Ergonomically designed strap system wrist attachment. High-density multi-layered foam padding for added protection and comfort. 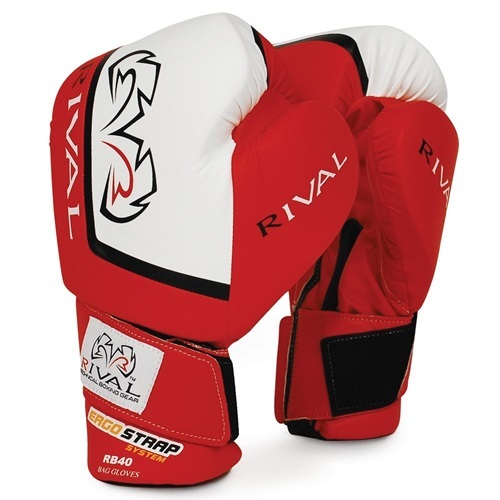 If you’re looking to start boxing training, then the Rival Fitness Bag Gloves are a well worthy candidate for you. The comfort, ease of putting on the gloves and reasonable price makes it ideal for beginners and general fitness training. They incorporate a good design and are proven to last long with frequent use. GEL® infused tri-stacked cuff with 360 degree wraparound wrist strap and hook & loop closure provides extra support and security. Removable elastic cuff sleeves lets you convert from bag gloves to sparring gloves in seconds. 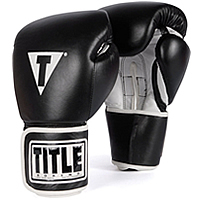 The craftsmanship is consistent with Title boxing gloves, and their Gel Intense Training Gloves are no exception. Just like the name suggests, they’re designed for intense sessions while still maintaining protection and comfort during use. However, some users have mentioned that these gloves are slightly heavier than advertised, which will hinder speed and timing during sparring sessions. However, that doesn’t take away from the quality of these gloves at all, but perhaps they’re more suited to bag work. 2” thick, shock absorbing, protective inner foam is ready to go with no break-in required. Strong elastic with hook and loop attachment for quick and easy on and off. Title describes their TITLE Classic Hook-and-Loop Leather Training Gloves as “an unbelievable high quality training glove at an incredible value”. Their quote holds true, and these gloves stand hand and shoulders above most of the boxing gloves around its price range. They’re well-constructed and offer good hand and wrist support, making it ideal for occasional to frequent training. You cannot expect the best quality for its pricing point, but pound-for-pound, I consider these to be one of the best boxing gloves in terms of value for money.